You don’t need to take it on faith that the Christian kidvid market appears to be enjoying yet another growth spurt. 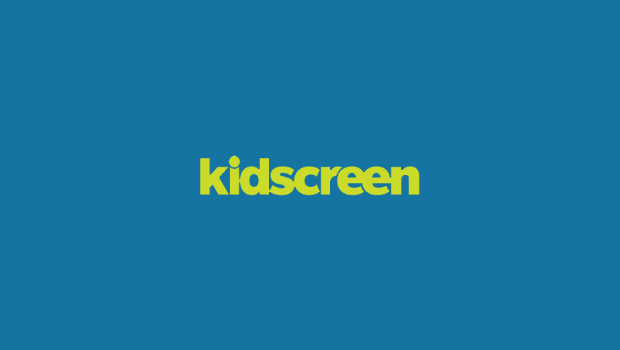 Buoyed by the religious following that Big Idea Productions’ Veggie Tales series achieved in the late `90s, prodcos are increasing their kidvid output, hoping to fulfill the growing consumer demand for Christian kids videos. ‘Big Idea proved that the Christian market is much larger than anybody dreamed of,’ says Michael Davis, director of sales and marketing at Davenport, Iowa-based Treetop Studios. Davis pegs industry sales at between US$50 million to US$60 million, putting the Christian vid biz on pace for growth of between 5% and 10% from a year ago, according to industry sources. While Davis readily credits Big Idea for single-handedly elevating the quality of Christian kidvid-historically a ghetto for low-budget fare-he notes that many Christian families are hungry for other titles. ‘Nothing against Big Idea, but there are only so many videos of [talking] tomatoes and cucumbers you can handle. People want variety,’ says Davis. One of the properties he’s hoping families will pick up is his studio’s Tails from the Ark. An episodic series loosely based on the story of Noah, Tails focuses on a group of animals adrift on an ark who spend their time telling each other stories. In the first 30-minute video, called ‘Honk If You’re Special,’ the animals relay the tale of Honk, a bird who routinely suffers the taunts of other animals. Essentially, it’s a story about the importance of developing self-esteem, which has religious overtones, says Davis. However, Treetop deliberately avoided quoting direct passages from the Bible, in hopes that Tails would appeal more broadly to families of other faiths besides Christianity. Tails has quickly gained a foothold in the Christian marketplace since ‘Honk If You’re Special’ launched in April, snagging the number eight spot on the Christian Bookseller Association’s top 20 kidvid sales chart for May. The video-which moved between 8,000 to 10,000 units in its first two months in the State-side Christian market-is also available in the U.K., South Africa, Australia and Brazil. But Davis and Treetop clearly have their sights set on mass. Though he’s hesitant to say so, Davis acknowledges that using the Christian retail channel to launch a new family series is often an effective way of gaining access to the general retail market, and it’s a strategy that he hopes will work for Tails. Benjie Gentry, director of marketing at Nashville-based Zomba division Brentwood Records (which distributes Tails and produced the first video’s soundtrack), expects to take the title to the general retail market in the fall. Working in the two companies’ favor is the quality of the all-CGI series, which Davis says is on par with Saturday morning cartoons. Treetop spent 18 months and sunk close to a US$1 million into producing ‘Honk,’ using the same Maya software that Pixar used to produce Toy Story. 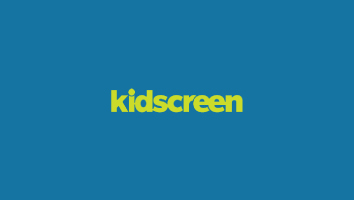 A reduction in the cost of editing software and video equipment is one of the major reasons why prodcos are creating higher-quality Christian kidvids, which is leading to higher overall sales for the sector, theorizes Brentwood’s Gentry. Another contributing factor is the Christian consumer base, which is displaying a lower tolerance for shelling out for videos with low production values, regardless of the positive messages they may spout. ‘We deal with 3,000 to 5,000 Christian bookstores, and the feedback we’re getting from our reps is that there’s still a lot of kids product out there that is not of good quality,’ says Gentry. In addition to the general market, Gentry and Davis are hoping to break Tails onto the small screen. Davis has already held preliminary discussions with Cartoon Network about securing broadcast support for the series. But he says that Treetop will need to get at least 13 episodes in the can before that kind of broadcast berth is a possibility. To do that, the company is currently trying to land some additional backers to help fund further production. In the meantime, everyone involved in the project is trying to spread the good word about Tails. Brentwood is cross-promoting the title through Summerjam, a Christian youth music and cultural festival that kicked off in April and runs through the summer. At each stop in 20 U.S. cities, Brentwood is previewing the video and promoting the series and its website (at www.tailsfromtheark.com) by having an actor dressed as one of the characters in attendance. 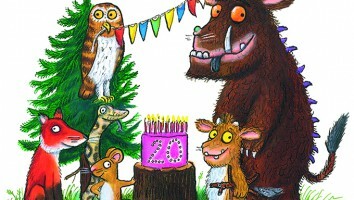 Treetop is currently working to produce the series’ second episode for February or March 2002. Additionally, its parent company EBI Video is co-producing Last Chance Detectives with Focus on the Family, a non-profit Christian advocacy group. Aimed at tweens and up, Detectives follows a group of whip-smart teens who solve mysteries in a small Arizona town. FOF has commissioned EBI to produce 13 half-hour eps for the video series, as well as a feature-length movie that’s scheduled for release in 2003. Though Portland, Oregon’s Pamplin Entertainment need not worry about securing distribution for its flagship series Bibleman in the general retail market, it would still like to increase its presence there. And based on its sales pedigree, there’s a good chance it will. Since its `94 launch in the Christian market, the video series-now into its 10th title-has sold a million units. According to SoundScan, Bibleman currently accounts for 11% of Christian kidvid sales, up from less than 1% in `98. Although only 10% of Bibleman video sales are currently coming from the general market (through retailers like Target, Wal-Mart and the Musicland Group, for example), the series continues to increase its presence in the Christian retail sector, where it has consistently ranked second and third behind Big Idea’s Veggie Tales and Penguins 3-2-1! series, according to the Christian Booksellers Association. The live-action series, centering on a masked superhero who stops villains dead in their tracks by quoting scripture, stars Willie Aames of Eight is Enough and Charles In Charge TV fame. Promotionally, Pamplin and Aames have helped to boost sales of Bibleman videos by staging a live theatrical show (a taping of which aired on Fox Family last year) that’s now in its fifth year and tours regularly throughout the U.S.
Bibleman has also spawned a burgeoning licensing program that spans action figures and books (both Tommy Nelson), puzzles (Talicor) and party gifts (CR Gibson). In June, Pamplin released the latest title in the series, ‘Breaking the Bonds of Disobedience,’ which also marked the introduction of new character Biblegirl to the series. Nashville-based Tommy Nelson has also enjoyed a significant spike in its Christian children’s video sales, which rose 20% to 30% in 2000, according to Dan Lynch, the company’s senior VP of marketing and entertainment. Much of the increase came from the first three releases of its Little Dogs on the Prairie series, a 2-D cel-animated cartoon about a group of prairie dogs who act out lessons from the Bible. The series has sold 200,000 units to date, and this fall, Tommy Nelson plans to release three new titles. Dr. Laura Schlesinger’s God’s Top 10, which is based on Schlesinger’s top-selling book of the same name, is a live-action and animated dramatization of the 10 commandments, and will feature the controversial radio host voicing some of the characters. Tommy Nelson will release the video in October at both Christian and general retailers. Due out the same month is Mary Lou’s Flip Flop Shop. Starring the gold medal gymnast, Flip Flop offers kids a kind of spiritual and physical work-out. In each of the 13 half-hour eps, which Nelson is co-producing with Houston-based Billy Young Productions, the effervescent ex-Olympian tackles various life lessons while providing kids with pointers on getting in shape. Tommy Nelson is releasing the first three eps this fall, and also plans to launch a secularized version of the video (minus the God references) down the road. The Gnoo Zoo, which Nelson is co-producing with Christian women’s support organization The Women of Faith, is a 45-minute cel-animated story about a group of animals on the hunt for the Great White Tiger. Lynch describes the vid as a cross between C.S. Lewis and The Wizard of Oz. Tommy Nelson is planning to release the first title in September and will support the series launch with a soundtrack CD release from Integrity, plus a 20-city musical tour that will kick off in late November 2001. Though initially Nelson had planned to put the video out in the Christian market only, the company has since decided to release the video concurrently in the general retail market-proving that non-Christian distribution has grown in importance for Christian video production companies over the last few years, say Lynch. ‘There are a lot of Christians who are looking for our product, who don’t shop at Christian bookstores. Although the Christian bookstore will always be our base, we have a mission to get our message out much broader than that,’ says Lynch.